Nobles offer a range of C-Hooks and roll lifters to suit a variety of needs, designed with the experience that comes from 100 years of being in the business. You can select from a number of existing designs, or we can manufacture to suit your specific site or process requirements. Custom designs can take into account the specific types, sizes and dimensions of your coils, any restrictions on space and headroom, and what sort of adjustment may be needed. No matter the design, all Nobles C-Hooks are designed, manufactured and tested in Australia to the highest standards, giving you peace of mind, and are made with attention to detail that is unmatched. 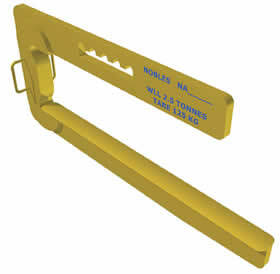 Ensures greater saftey and saves time when laying pipes. 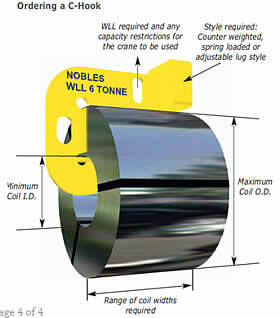 For pipes up to 1 metre length. Eyelet for attaching to crane hook. 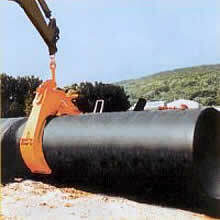 Handle for safer insertion into pipe. With automatic centre of gravity balance and adjustable stop buffer. 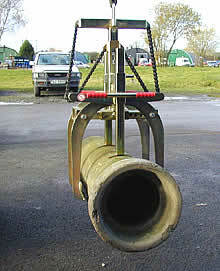 For pipes up to 3 metre length. 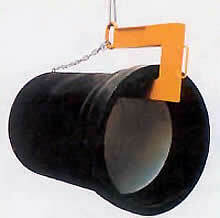 For pipes with an outside diameter of 200 - 800mm. Exchangeable rubber metal bars to prevent coated or stoneware pipes from damage. 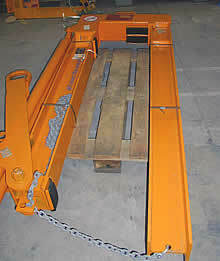 Can be used in narrow ditches as little room is needed on either side for the grab to work. With adjustable opening width by spring loaded bolts. Lifting eye for attaching crane hook. With automatic release mechanism which means no additional operating personnel are needed. Specially for laying sewer pipes. Wider gripper arms mean that coated pipes are not damaged. 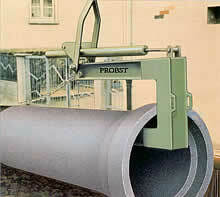 Specially designed to lay small diameter sewer pipes. No additional operating personnel are needed. 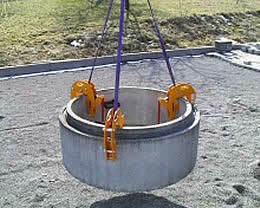 For transporting manhole rings and cones. 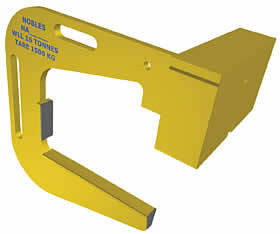 New: Manhole and Chain Clamp SRG-uni, extremely easy handling and light-weight. Automatically adjustable clamping range of the claws to the thickness of the pipe walls. Type 3/160 and 3L/160 also with automatic adjustment, the others with manual adjustment (not suitable for green products).